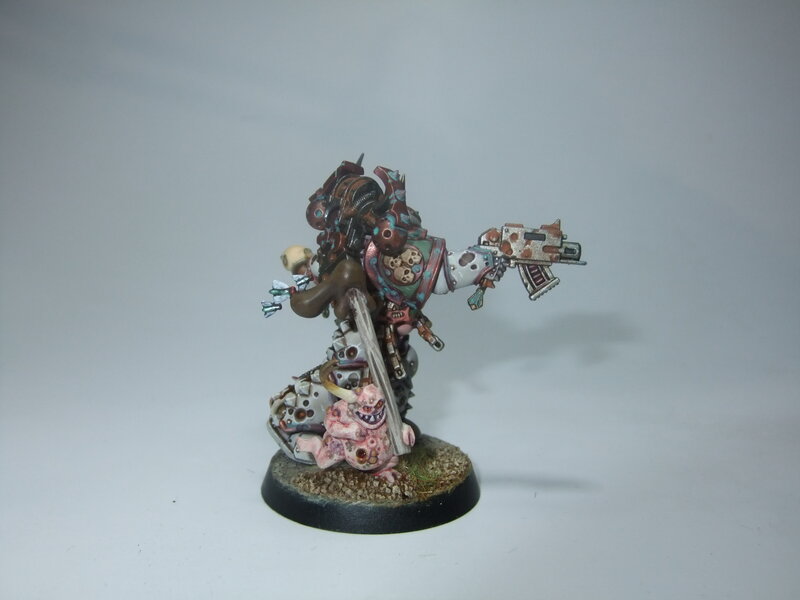 Again months missing but update! 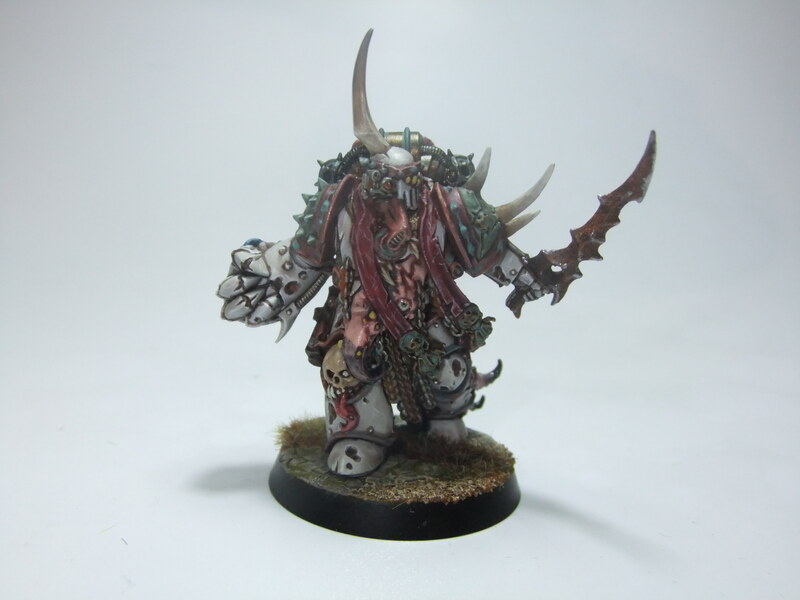 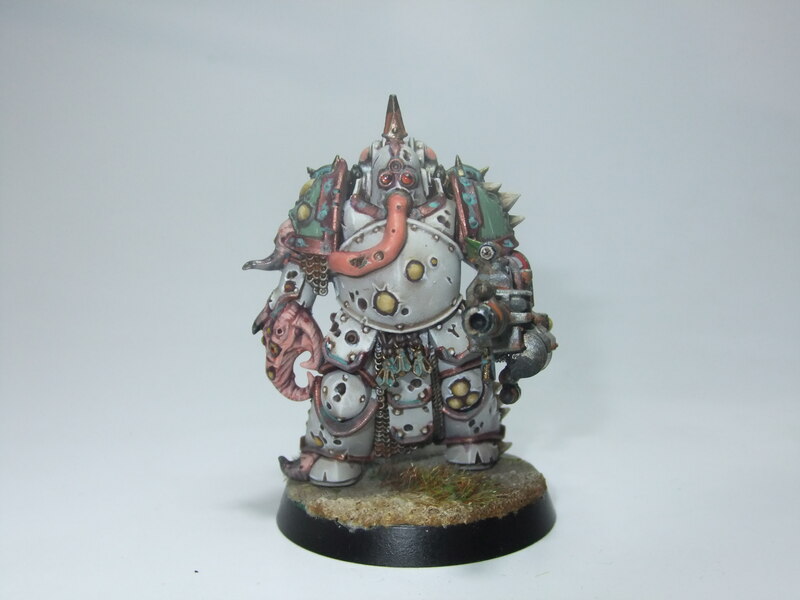 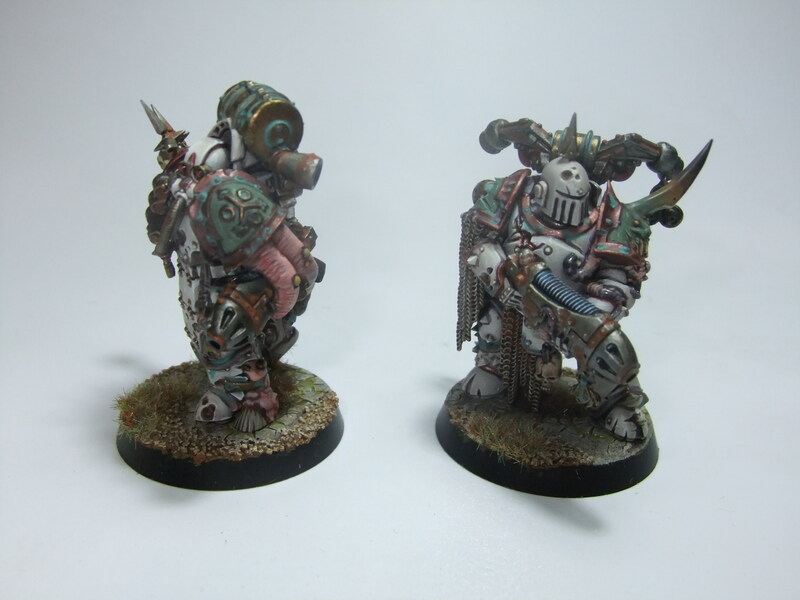 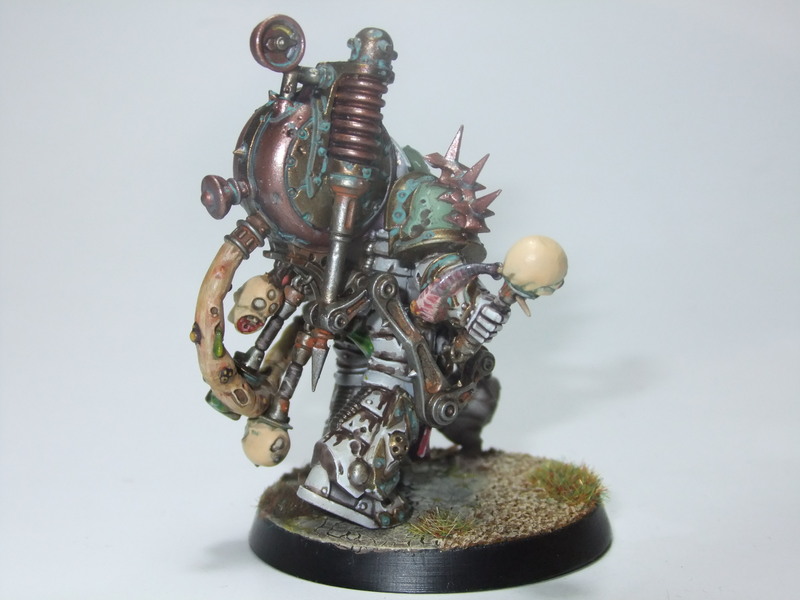 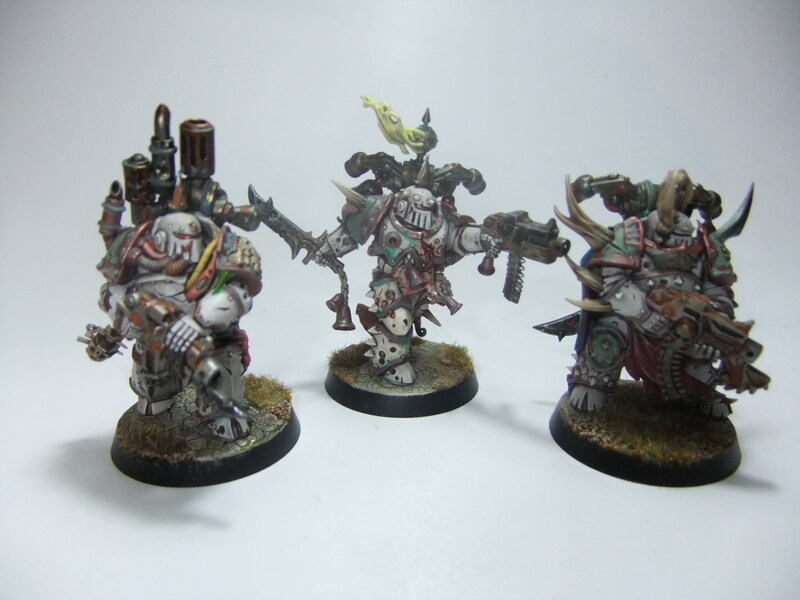 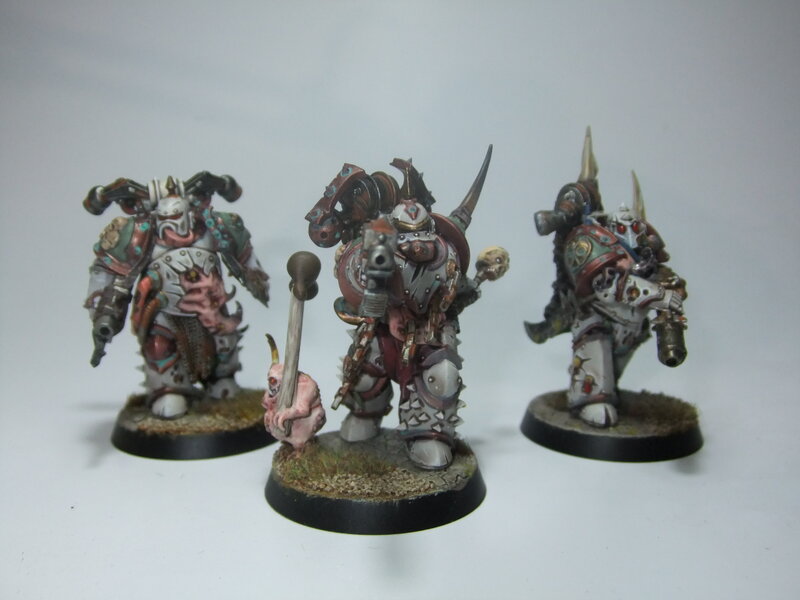 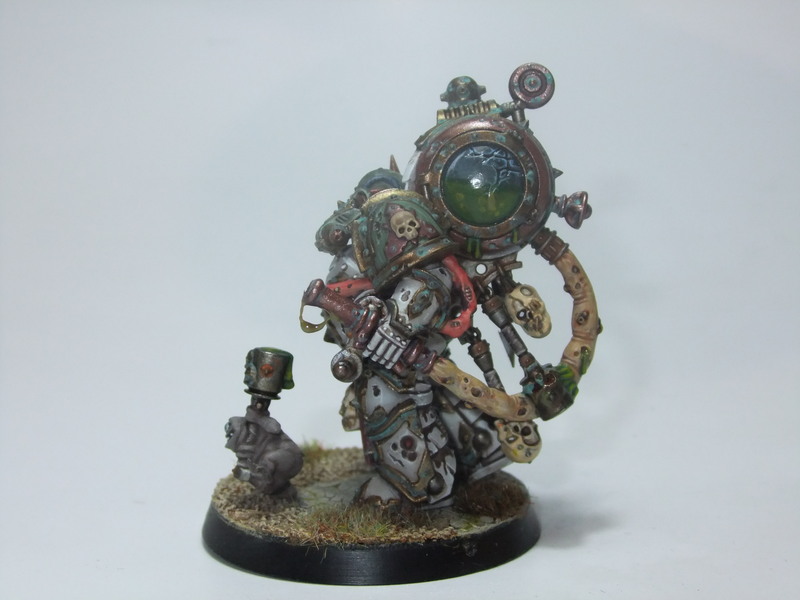 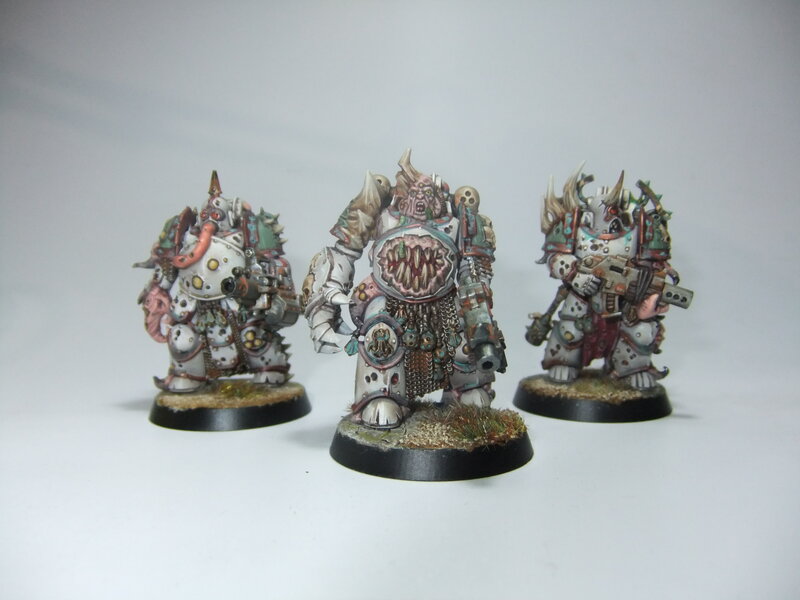 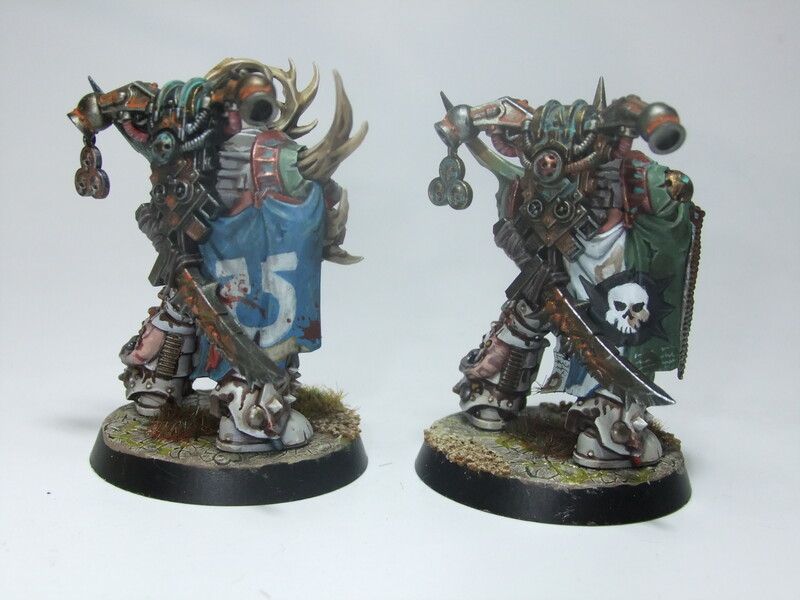 This time I´m going to show you the first part of a new comission, a whole Death Guard army. 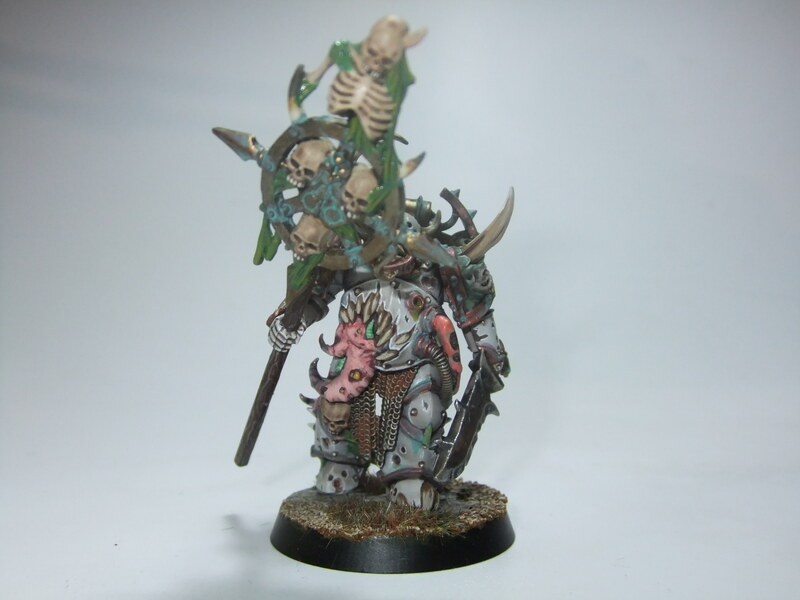 It´s been a while since a painted a Chaos model, and now I have a lot of models in my work desk (which curiosly is starting to age and rotten...maybe I need some Emperor´s Tears). 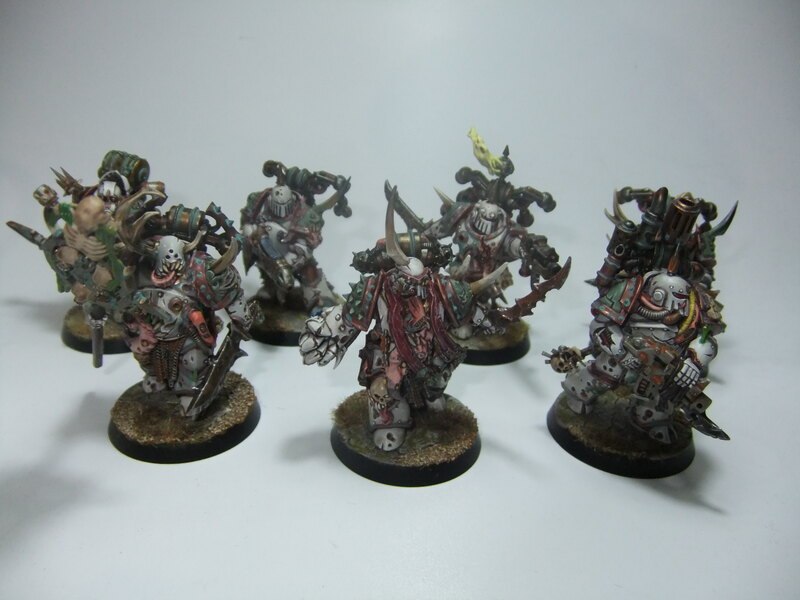 These models are so great than I will not do many conversion (but you now me...there will be, of course there will be), but the client and I don´t like a "clasic green scheme" so we choose an the Great Crusada / Heresy colours, and a lot of dirt, drip and blood (well, not too much blood, this is not a Khorne army). 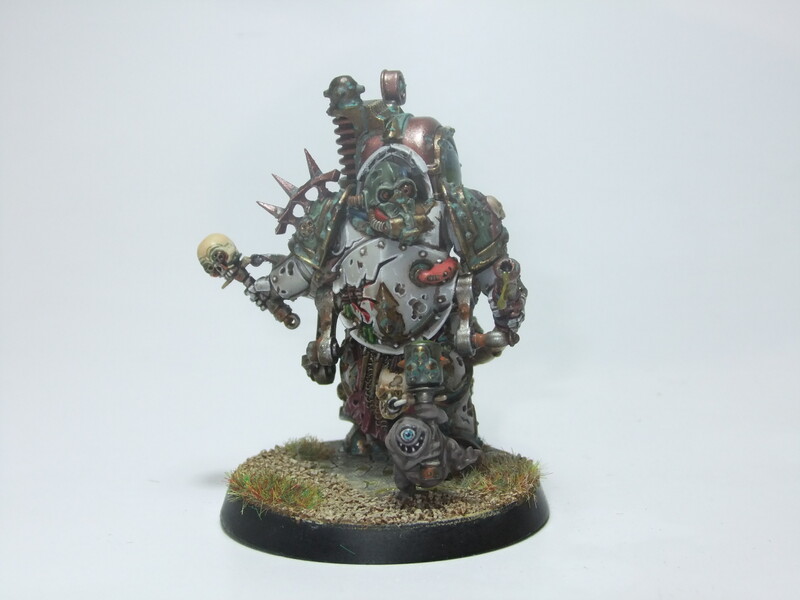 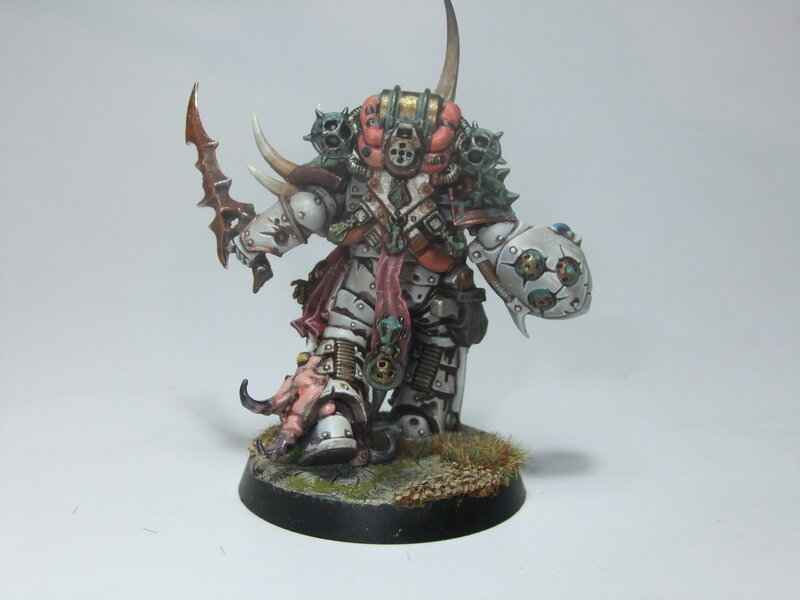 * Dark Imperium Plague Marines: Well, first conversion, but a little one! 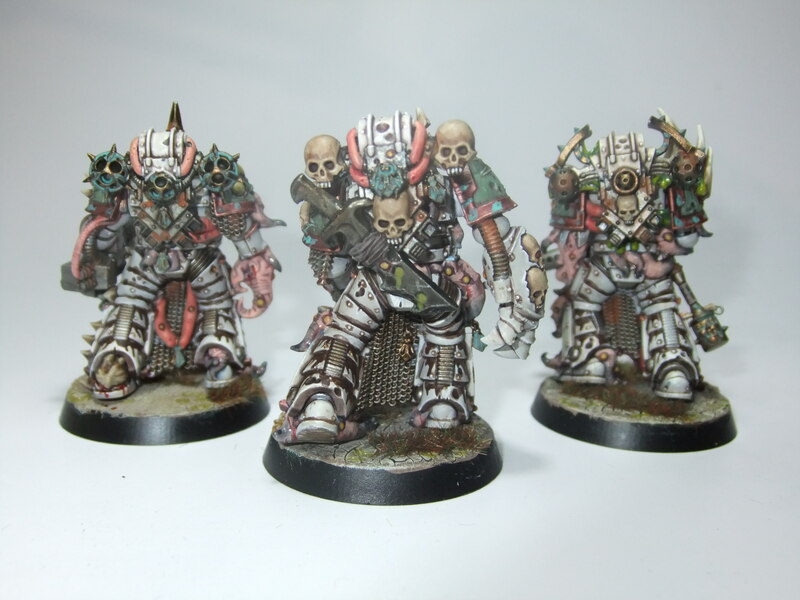 I swear! 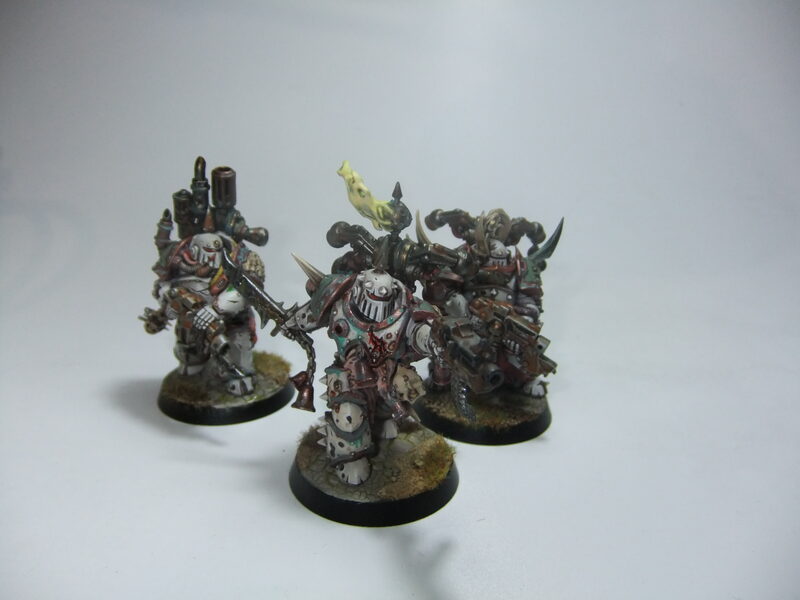 I changed the Champion´s head for a FW Iron Hands head, I like how it looks, and gives more cohesion to the squad, a little of green stuff here and there and done! 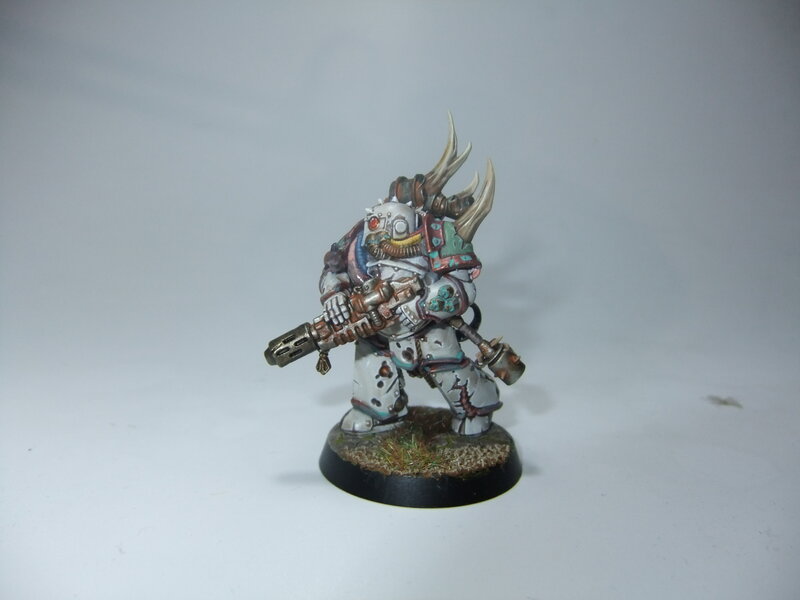 A classic, two special weapons, again another conversion (I know, I know...), the plasma gun from the First Trike kit will make an amazing add-on to this squad. 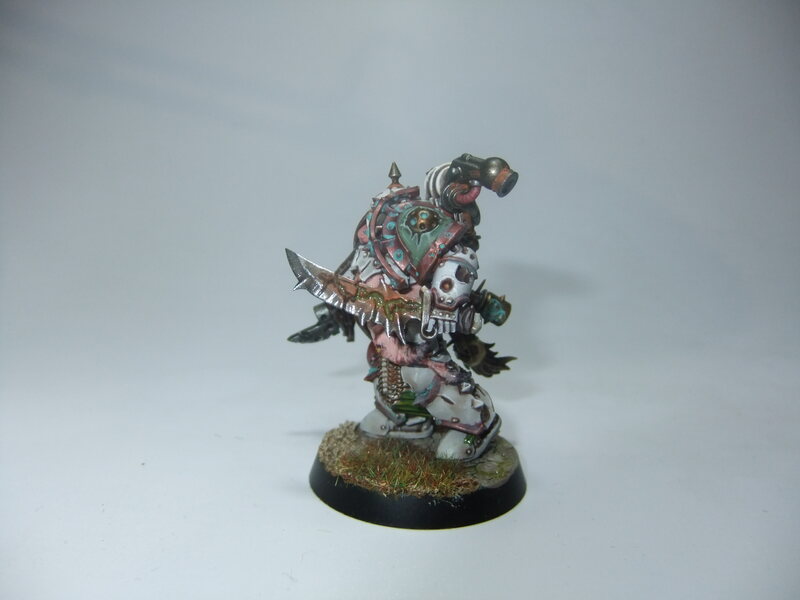 And also one of the heads.